View Poll Results: Is the stadium good? Going to India-England can't wait!!! Based on the look of the latest photo, the Cricket World Cup is six months way and the reconstruction of the Eden Gardens stadium may not be completed on time. Should have started the reconstruction earlier than 2009. I honestly think all development projects must be sustainable and futureproof. You support the good projects... and oppose the bad. Any more photos of the Constructions for the stadium?? I can't wait to watch this one go up. I LOVE watching Indian construction work (morbid fascination!) and was starting to get withdrawal symptoms after the end of the commonwealth games projects. Yeha can just imagine the Australian and British Media smashing into them again in 3-4 months time. can anyone tell me, will be existing old blocks demolished completely for renovation or not after WC ? WC just a few days away. In a major embarrassment to the BCCI, the ICC has ruled out Eden Gardens as the host of the game between India and England on February 27. The ICC's inspection team, which included some of the leading experts in the field of stadium and ground preparation, felt that Eden Gardens would not be ready in time. No alternate venue for the match has yet been named. The Wankhede Stadium in Mumbai and the three World Cup stadiums in Sri Lanka were all given the go-ahead by the ICC. "Regrettably, Eden Gardens has not made sufficient progress to justify the level of confidence required to confirm that the venue would be ready in good time," Haroon Lorgat, the ICC chief executive, said. "This was no easy decision to take and while it is most unfortunate, it is absolutely necessary." The Cricket Association of Bengal is having an emergency meeting to discuss the development. Kolkata was to host three other matches in the World Cup, but the status of those games is still unclear. "At this stage no decision has been taken on those matches," an ICC spokesperson said. The India-England clash was the only chance for fans in Kolkata to see the home side. The news of switching the match from Kolkata comes just two days after the tournament director, Ratnakar Shetty, waved away worries over readiness of World Cup venues. Media personnel had been barred from a recent inspection of Eden Gardens. The venue, one of the largest cricket stadiums in the world, has hosted some of the highest-profile matches of the previous two World Cups held in the subcontinent including the final in 1987 and the semi-final in 1996. 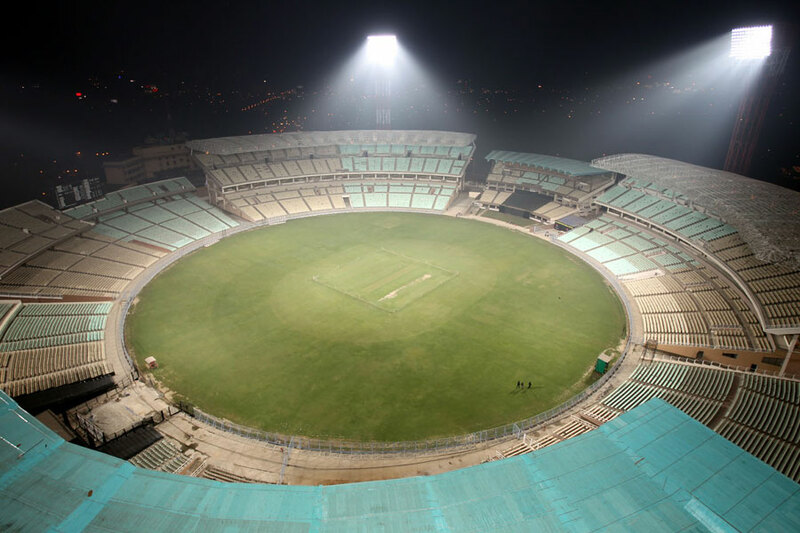 No international matches have been held in Kolkata since the Test between India and South Africa in February as the stadium was being renovated. "All venues had ample time in which to prepare for World Cup matches," Lorgat said. "We had been understanding and had provided extensions to the deadline dates but unfortunately we are now at a point where we must carefully manage our risks. "The Central Organising Committee had provided venues with a deadline of 30 November 2010 to complete all construction work and then to be match-ready by 31 December 2010. An extension was granted by the ICC for five venues, which were again inspected over the past week. Sadly, Eden Gardens in Kolkata was unable to meet the final deadline date of 25 January 2011." The ICC is still deciding on the new venue for the India-England match. "We will work with the new venue, the tour operators and the ticket distributors to manage the logistical challenges that will surely arise," Shetty said. It is not yet known whether the people who bought tickets to the fixture will get refunds. Why shouldn't Eden Gardens have been reconstructed into a single unbroken stand or two? This photo shows that two new stands were built west and east of the "Club House". All the stands beside the two new stands should have been demolished and not preserved. There should have been a totally new Eden gardens constructed, both inside and out. Please Post some more information about this ground. Ind vs WI test already finished and now what is the further plan of BCCI? are they going to start the rest of renovation work in near future or not? ^It reminds me of MCG...well EDEN GARDENS and MCG the two giants of the cricket world!!! Please do not insult MCG with comparing this ordinary stadium to it. MCG is truly glardiators arena with true stadium seating and proper state-of-the-art renovation. Eden Gardens is more of a 3rd world's poor man's MCG which hasnt ever been properly renovated with times. Altho I think Eden Gardens is legendary I have to say I kinda agree. During the redevelopment they really should've made this into a state of the Art stadium. This was India's chance to show that they are the Cricket super power and have a stadium which is the best in the world. is there any pics of the new roof structure.?.... it has been put up in the last 2-3 months..
Don't say it was India's chance to prove.It's bloody BCCI which knows nothing except making money.Though few state of art stadiums have come up recently in India like D.Y Patel stadium in Mumbai,MAC Chennai and the latest addition being Subrato Roy stadium in Pune.These are real beauties.